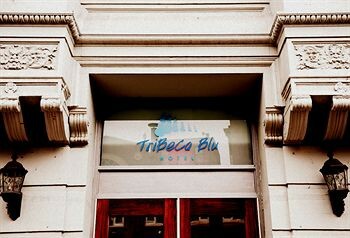 Property Location A stay at Tribeca Blu Hotel places you in the heart of New York, walking distance from Children&apos;s Museum of the Arts and Collect Pond Park. This hotel is close to New York University and Brooklyn Bridge.Rooms Make yourself at home in one of the 70 individually decorated guestrooms, featuring MP3 docking stations and plasma televisions. Your pillowtop bed comes with Egyptian cotton sheets. Complimentary wireless Internet access keeps you connected, and cable programming is available for your entertainment. Private bathrooms with shower/tub combinations feature designer toiletries and complimentary toiletries.Rec, Spa, Premium Amenities Make use of convenient amenities, which include complimentary wireless Internet access and tour/ticket assistance.Business, Other Amenities Featured amenities include complimentary high-speed (wired) Internet access, a 24-hour business center, and express check-in. A shuttle from the hotel to the airport is provided for a surcharge during limited hours.